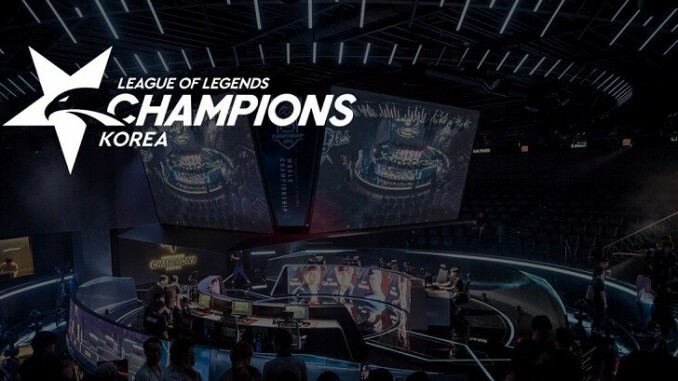 In one of the most anticipated finals in recent memory, the top two seeds – Griffin and SK telecom T1 – will battle for the title of LCK Spring 2019 champions. There’s an invitation to the 2019 Mid-Season Invitational on the line for the winner, not to mention early-year bragging rights. Griffin are seeking redemption after appearing to be the best team in the league in the 2018 Summer split, only to fail to win the title or book a trip to World Championship. Griffin have emerged this year as one of the best teams not only in this league, but in the entire world, showing improvement despite occasional losses. That is reflected in their status as Dafabet’s favourites – they are 1.657 to win the final with SKT at 2.250. Tarzan is the heart of this team, with his talent in the Jungle being the main reason for many of their victories thus far. Despite having skilled players, Griffin have always been about playing as a team more than making individual plays, although they usually have their fair share of those as well. The accolades continue to come in for this squad but they still have massive pressure on their shoulders to prove they can actually handle the big moment. Do not forget that given the LCK play-off system which sends the top seeds straight to the final, Griffin have been away from competition for quite some time, affording them less practice in a competitive environment than SKT. There is potential for them, as many teams have done in the past, to come out slowly in the title decider. SKT are coming off an absolute demolition of KING-ZONE DragonX, this despite the latter having looked brilliant against DAMWON earlier in the play-offs. This is what this super SKT line-up was supposed to do: compete for championships immediately. With a myriad of stable veterans and skilled players, it felt like only a matter of time before these two sides had a bout at the business end of a tournament. SKT have always been built around the play of star Mid-laner Faker, who continues to be both an incredibly skilled and very versatile player, one with a seemingly-endless champion pool. In the other solo lane is Khan, who despite a few ups and downs this year, is still one of the best Top-laners in the league and remains potent on carry threats in the current meta. The Bottom lane also brings the heat with Teddy and Mata, a pairing who have done even better than hoped thanks not only to their prowess in the lane but their ability to control and assert themselves as forces within team fights. However, for SKT the question in this match-up is whether or not Clid can continue to perform under the bright lights, especially against a player like Tarzan. With the cohesion Griffin have, they tend to put heavy resources into Tarzan, assisting him in attempting to shut down the enemy Jungler and essentially make the game a 5v4. Tarzan and Griffin have been more successful at this tactic than any other team in the region and they certainly will be looking to shut down Clid, who has been a feast-or-famine Jungler. Another key match-up is on the Top side, with the aforementioned, carry-focused Khan going up against Sword, who has generally had his best success on tank champions. Griffin have continued to select Urgot for Sword despite the nerfs as it was a comfort champion, but despite the pick’s success there is some concern about what Sword’s champion pool looks like entering this match-up. If SKT can pinch Sword’s champion pool, they could be setting themselves up nicely to win the draft.